Small in size. Big on advantages. 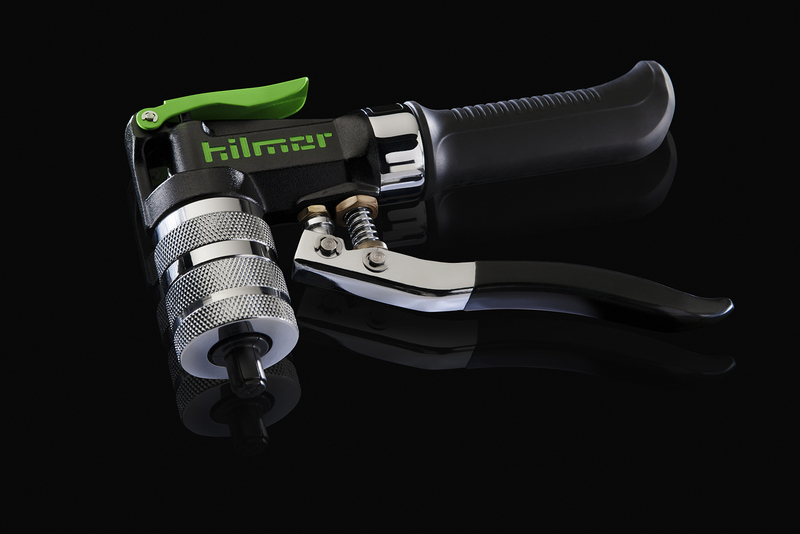 The hilmor Compact Bender will help you get the job done right – from start to finish. Small-space capabilities, one-handed operation and precise bends – you get it all. A universal crossbar and color-coded mandrels provide simple setup and easy size identification. An advanced mandrel design and quick-release mechanism allow for an easy tube release. You can count on precise bends of 1/4”, 5/16”, 3/8”, 1/2”, 5/8”, 3/4” and 7/8” tubing up to 90°. Body and crossbar for 1/4” to 7/8”, 1/4”, 5/16”, 3/8”, 1/2”, 5/8”, 3/4” and 7/8” mandrels. Body and crossbar for 1/4” to 7/8”, 1/4”, 5/16”, 3/8”, 1/2”, 5/8”, 3/4” and 7/8” mandrels and Reverse Bending Attachment. Universal crossbar and color-coded mandrels make identifying and changing sizes quick and easy. A ratcheting mechanism and innovative release lever allow for bending with one hand. A compact design allows it to fit where others can’t. 1839032 CBK Body and crossbar for 1/4" to 7/8", 1/4", 5/16", 3/8", 1/2", 5/8", 3/4", and 7/8" mandrels. 16-3/8" 12-1/4" 3-1/4" 8.8 lbs. 1926598 CBKRB Body and crossbar for 1/4" to 7/8", 1/4", 5/16", 3/8", 1/2", 5/8", 3/4", and 7/8" mandrels and Reverse Bending Attachment. 16-3/8" 12-1/4" 3-1/4" 10.8 lbs. Tube sizes (O.D.) 1/4", 5/16", 3/8", 1/2", 5/8", 3/4", 7/8"
1766 people found this review helpful. Love this tube bender! I've used many tube benders and this is by far the best one. Very durable, compact and has nifty extra such as handle lock and easy on and off head without having to screw it into place, like those yellow jacket benders. Highly recommend this tool for bending. Just ordered the reverse bend for the tight spots, can't wait to use it! PS I'm from Canada and there are definitely distributors out here for this product. 2182 people found this review helpful. [Affiliated with product] Just picked this bender up, gotta say that I was impressed! It feels great when using, nice smooth ratchet action. And the quick release makes it easier for one handed use. 2929 people found this review helpful. A very well made tool. Many improvements over competitive products.